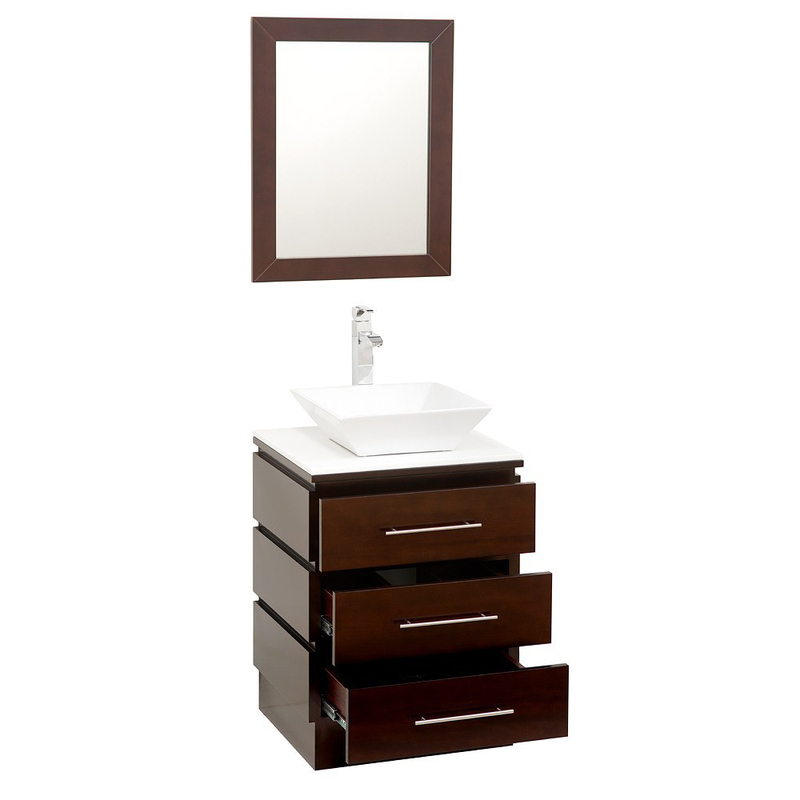 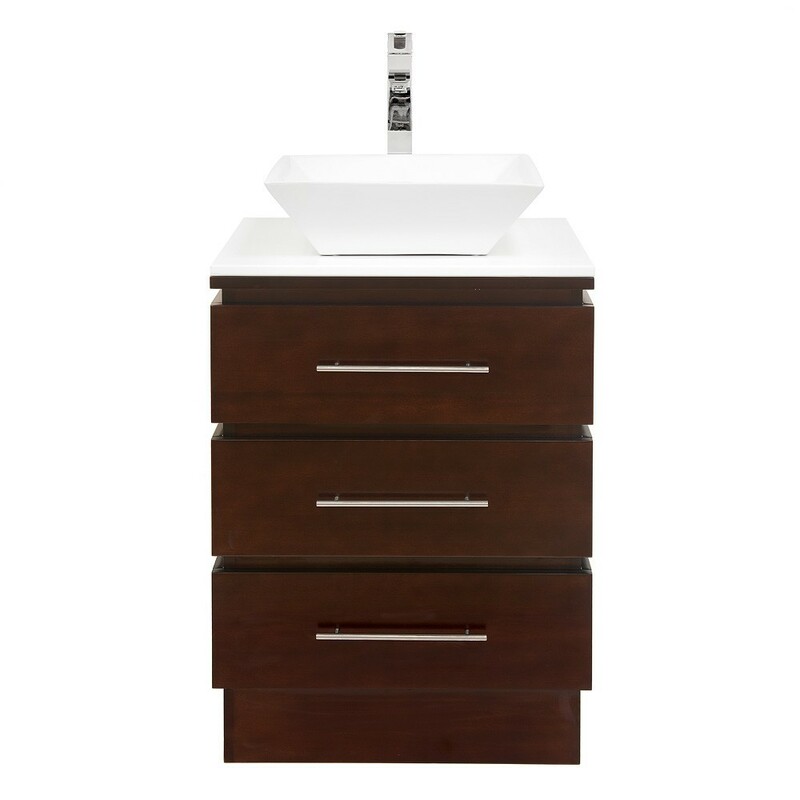 The Rioni Single Bath Vanity has a contemporary design with a handsome espresso finish. 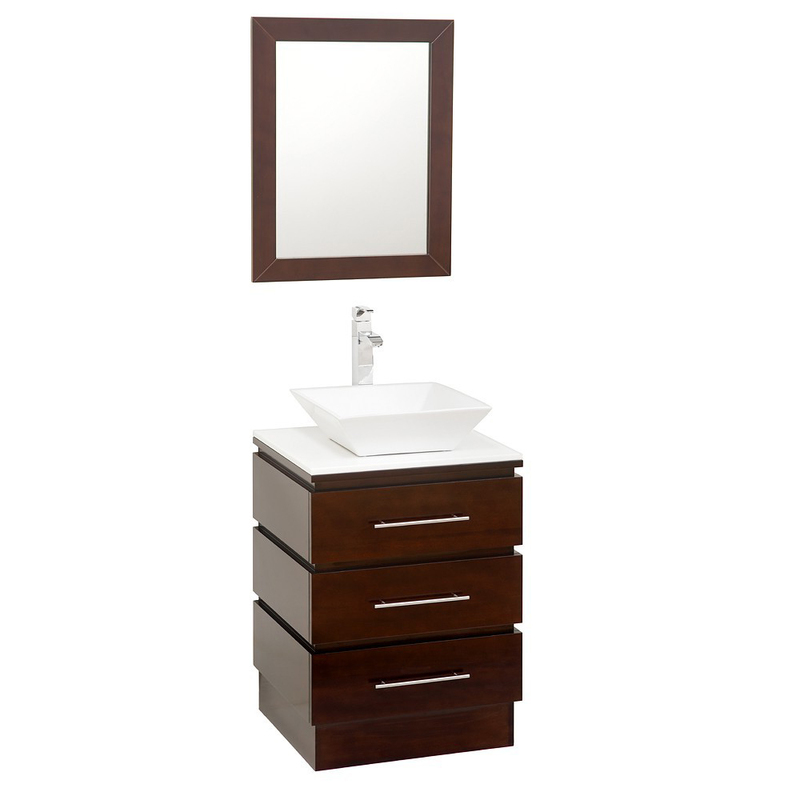 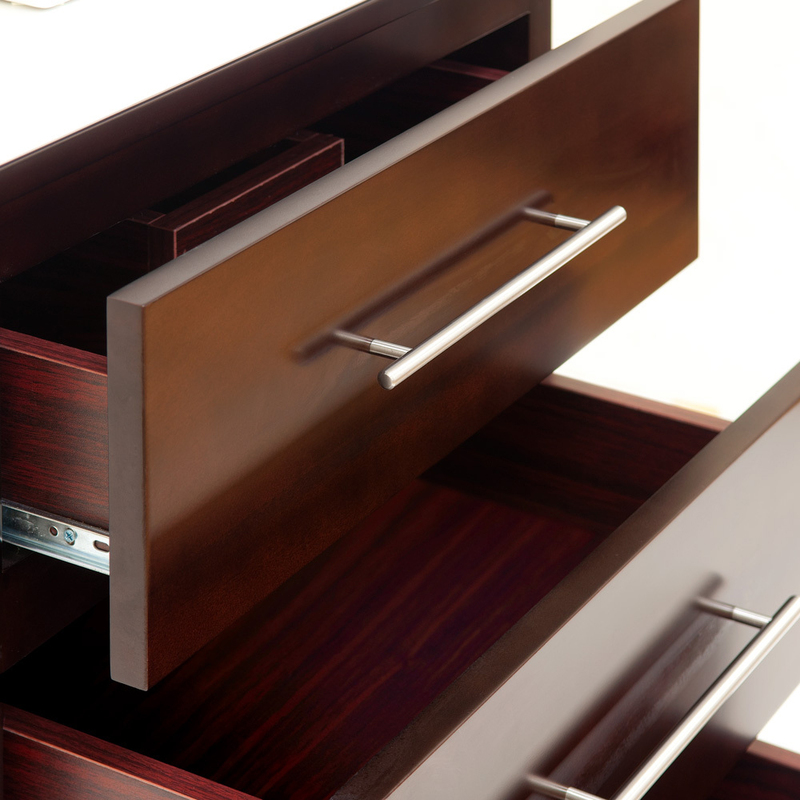 This is a great option for any small bathroom or powder room due to its convenient size and ample three-drawer storage. Clean lines and brushed chrome hardware give this small vanity a contemporary atmosphere. Choose between two different glass tops and several vessel sinks. 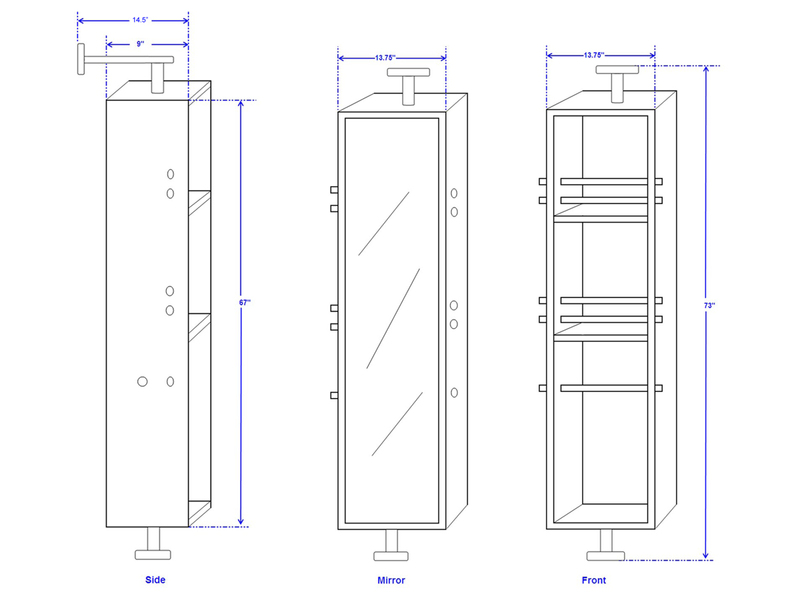 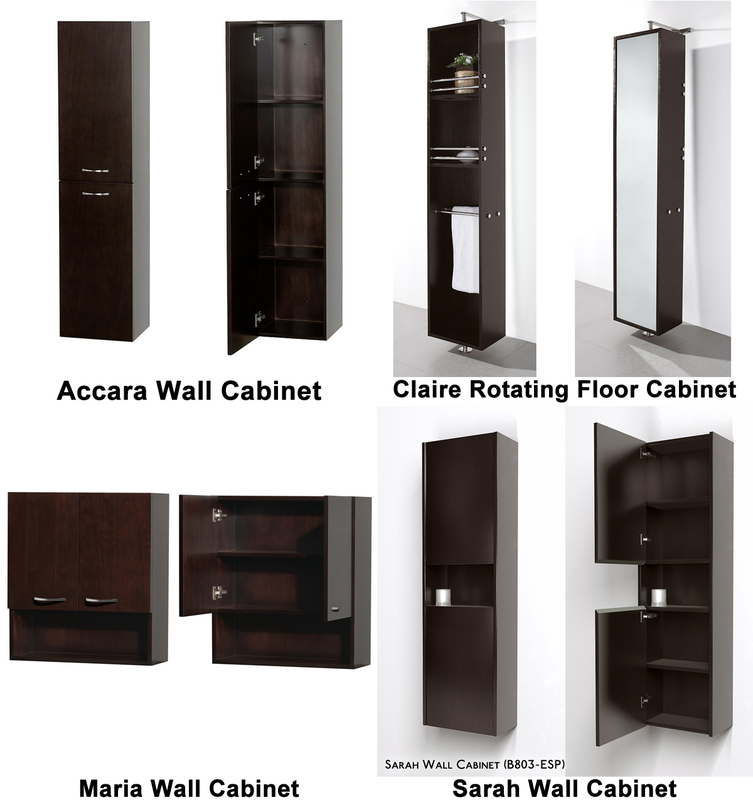 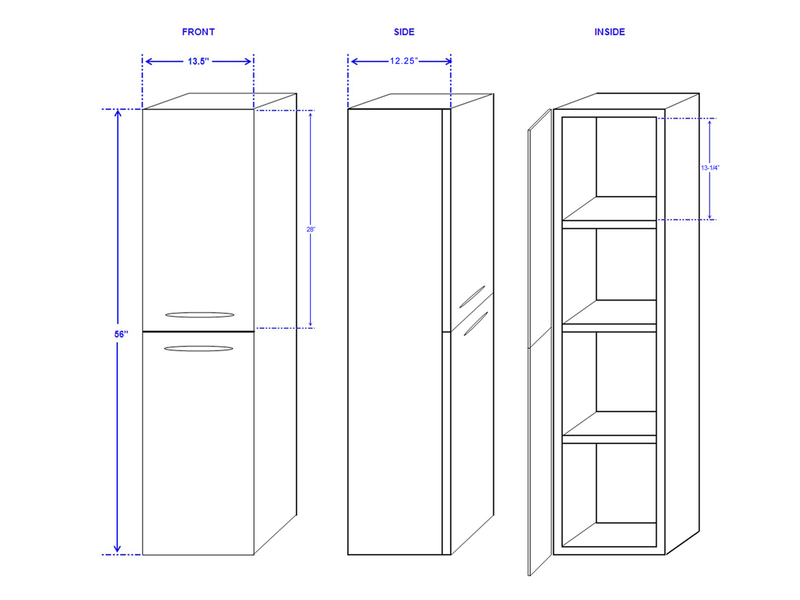 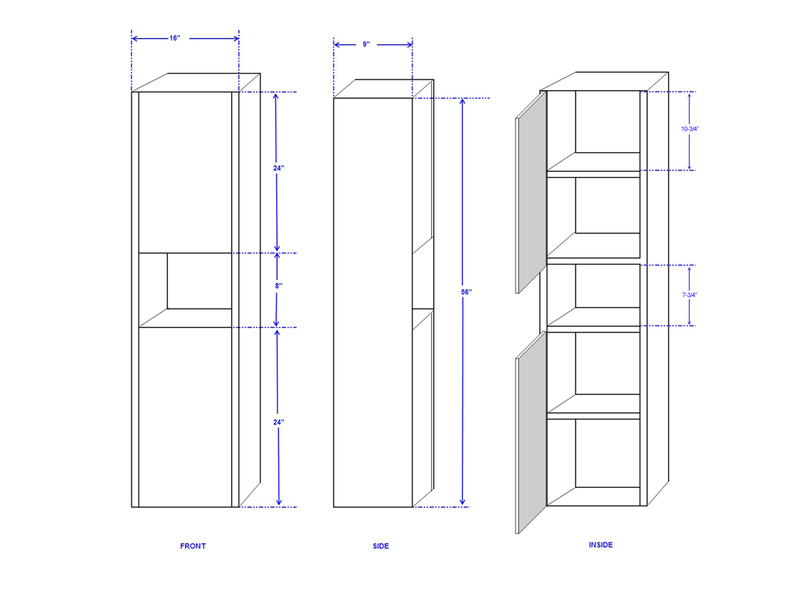 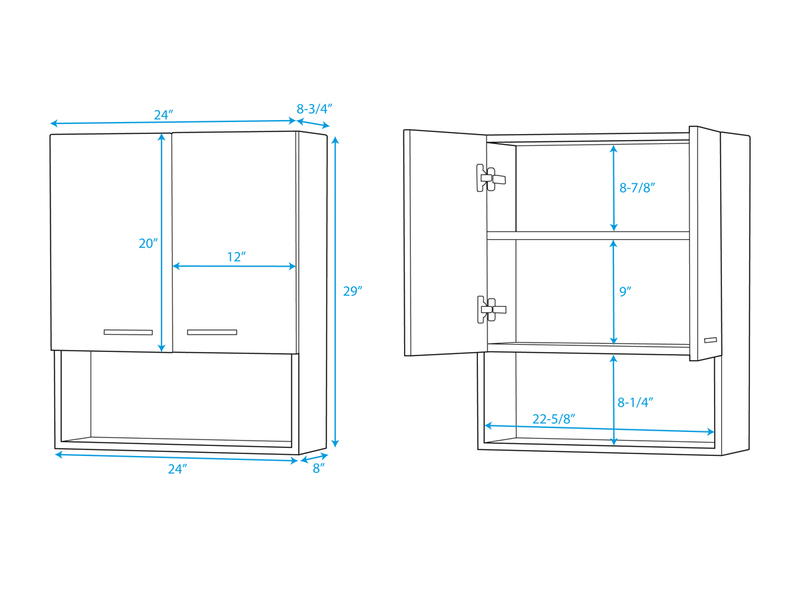 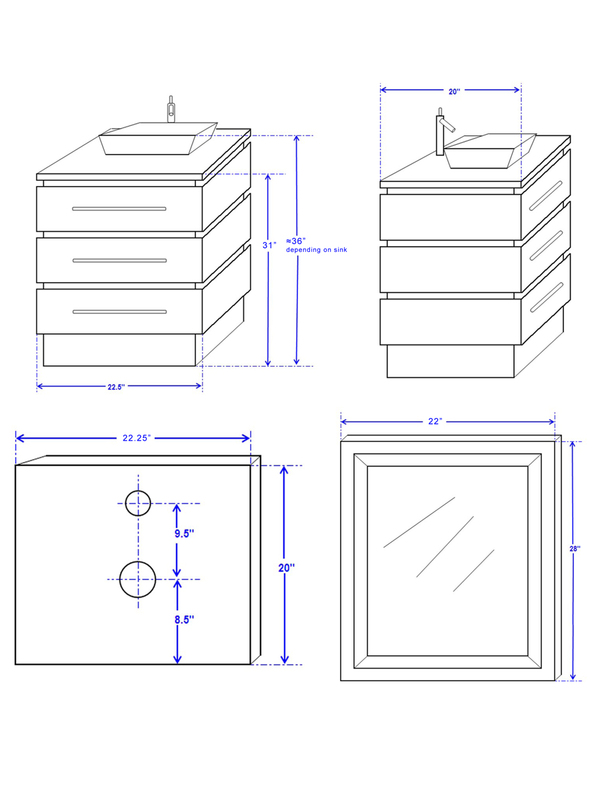 A matching mirror is included, and several side cabinet options are available. Faucets sold separately.